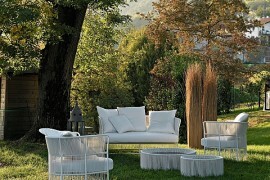 The cold grip of winter has relented and now is the time to take in the chirpy joy of spring. 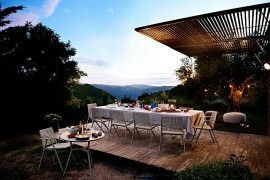 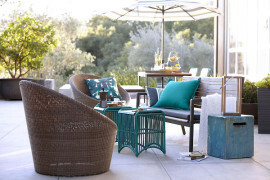 With summer and fall lined up ahead of us, this is probably the best time of the year to consider revamping your outdoor decor. 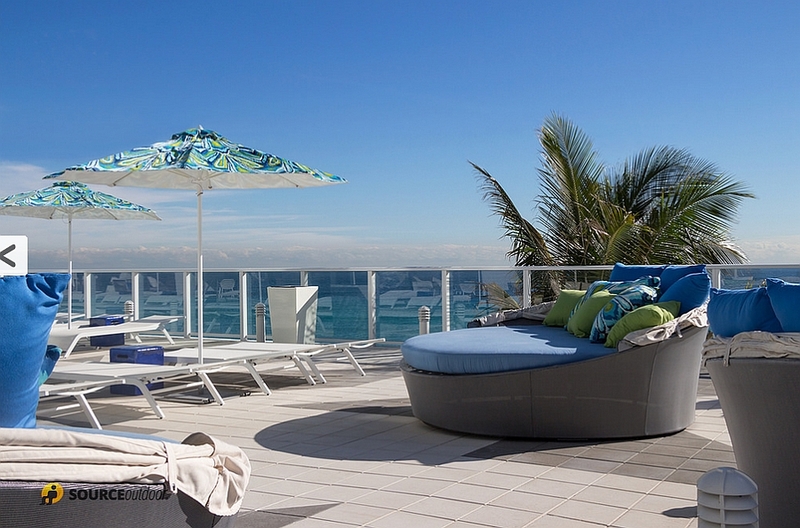 While most modern apartments have humble balconies and small rooftop decks, there is still ample opportunity to make use of this limited space. 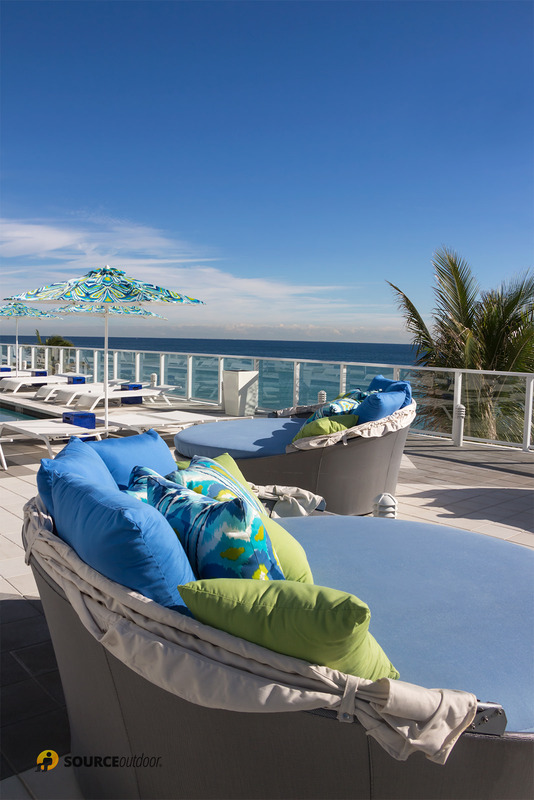 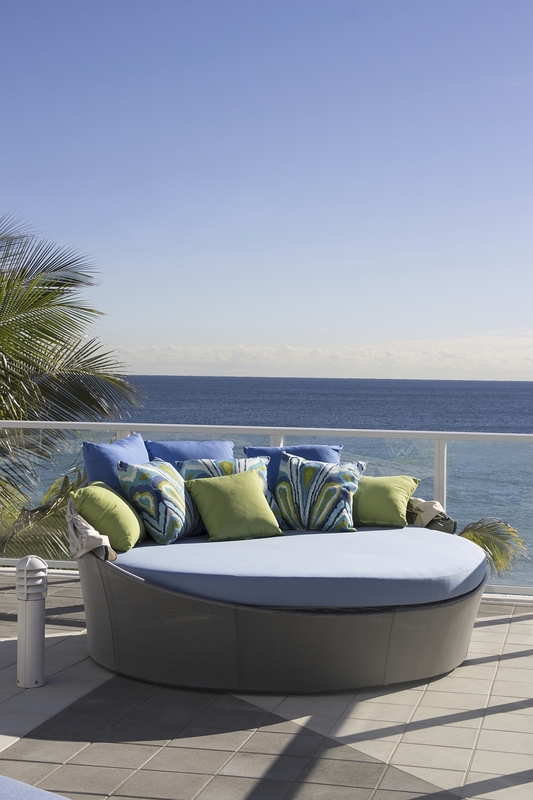 And the gorgeous Aqua Daybed from Source Outdoor makes sure you enjoy the many sights and sounds outside, regardless of the size of your backyard or terrace. 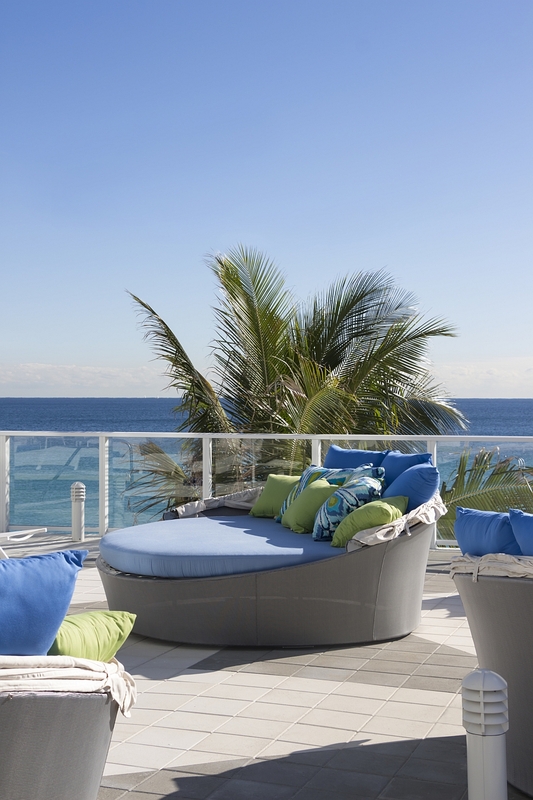 This customizable daybed series offers three different varieties of the ‘Aqua’, which range from the small daybed without any added frills to the large version that comes with a lovely canopy. 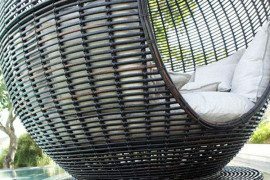 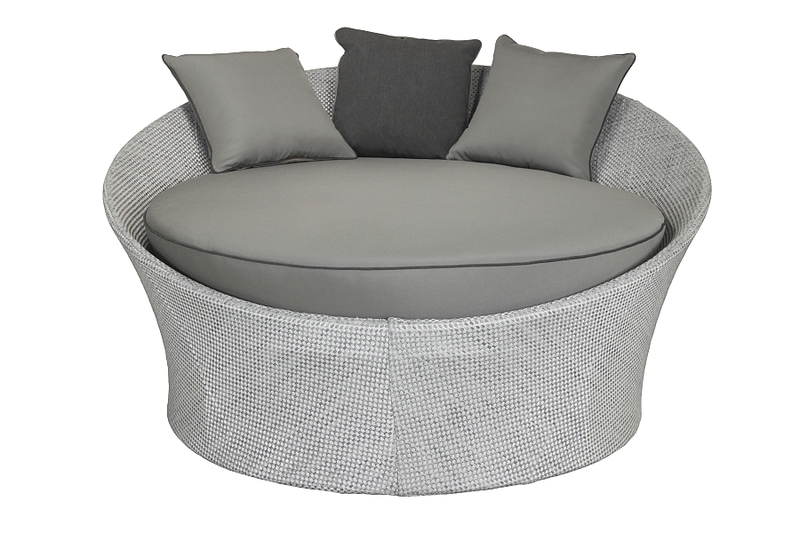 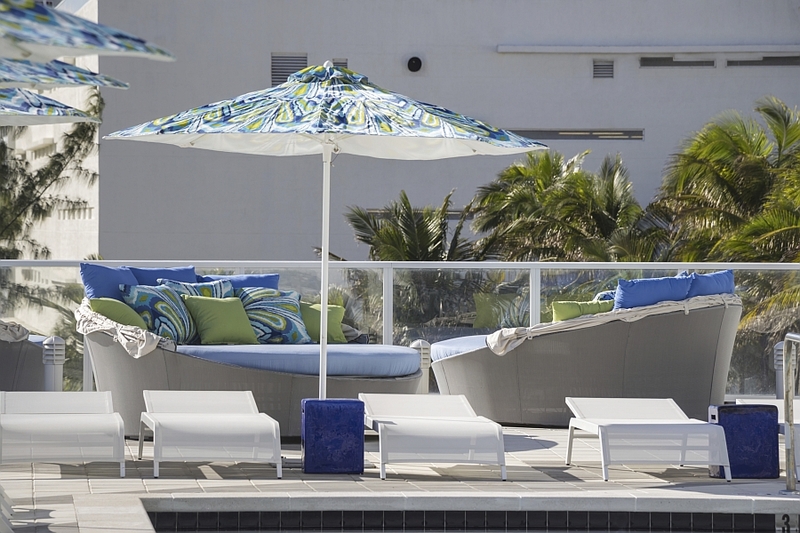 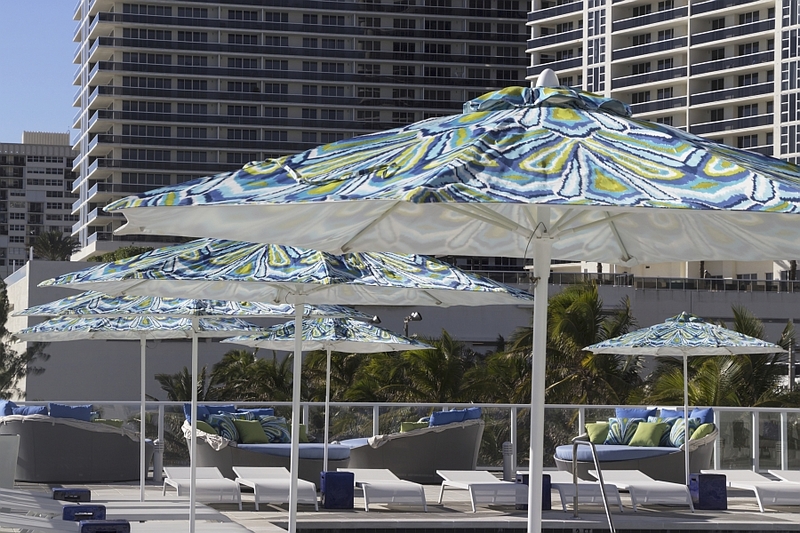 Taking the daybed experience to a whole new level, each Aqua unit is crafted from a special combination of powder coated aluminum and woven sling material to make it as weather resistant as possible. 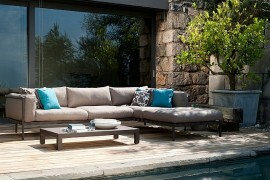 So, you no longer have to worry about tugging the furniture indoors every time a little drizzle comes along! 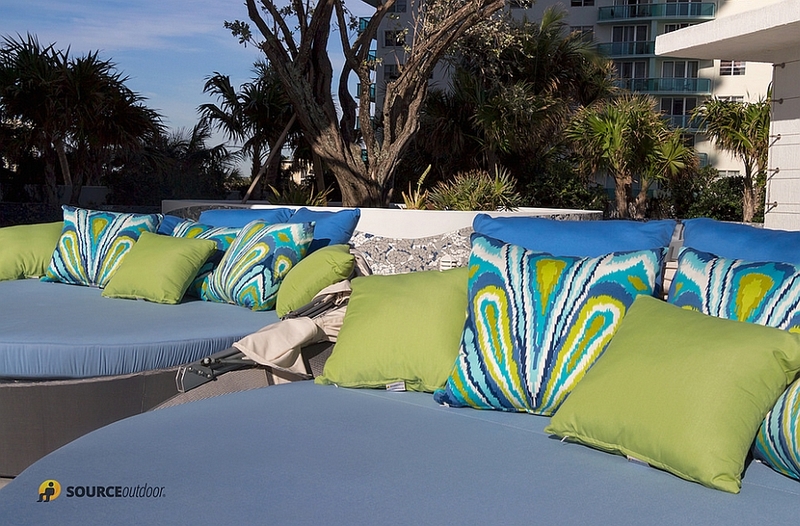 The plush cushions and the ample shade of the Aqua tempt you to spend more time lounging by the pool or taking in the varying shades of twilight this summer. 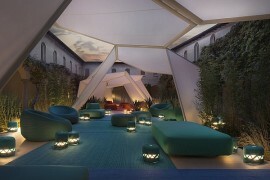 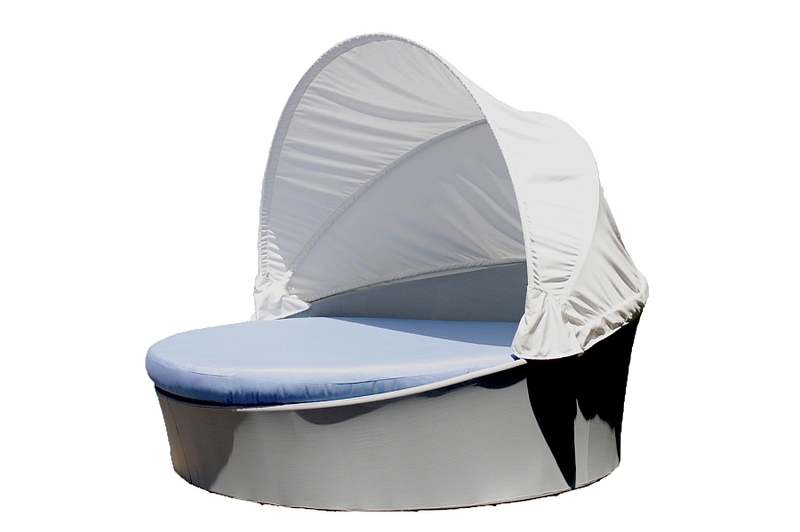 While the smallest daybed in the Aqua lineup has a diameter of 50 inches, the largest comes with a width of 90 inches. 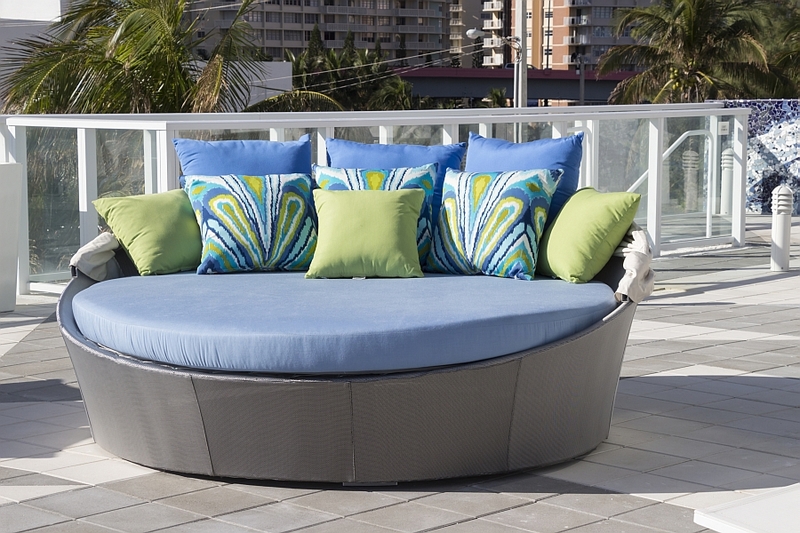 Offering you the ability to custom order the daybed that fits your own home, this collection from Source Outdoor promises to make your lazy summer days even more comfy!